I have to say I feel sorry for the two losing books, as clearly no one knows anything about them, and thus clearly they need to be featured on more blogs to bring attention to them! 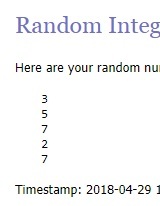 Really happy with the winning choice though, very much enjoyed A Bicycle Made For Two, so thank you. 3 - The Last Laugh by Tracy Bloom - Huge fan of the author, but having read the blurb at one point, not sure this is going to be as light hearted as her other books, but I could be wrong. 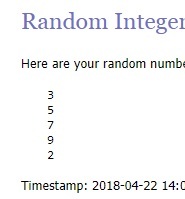 7 - Where The Light Gets In by Lucy Dillon - Also adore this author, and have spare copies of this book so there could be a giveaway when I do read it! I've read many books by each of these authors, they are only sitting as unread books as I had others released around the same time that opened on my kindle before these! I want to read them all so very excited to see how this week will pan out. Many people have had little experience of mediums, psychic clairvoyants or spiritual healers. So it must come of no surprise I’ve had to counter sceptics all my life. Some are just ignorant of my role in society, whereas others have a basic understanding of what I do, but nevertheless adopt a position of dogmatic disbelief and total un-acceptance. There are even those for whom, no matter how much proof you present, it is never enough. Their argument is you might have known the person, heard or read about them, ... and the one I love the most – you might have researched them. As if I don’t have better things to do with my time than target specific individuals and research their intimate day-to-day activities. With that degree of investigative skill and financial commitment, I’d be better suited opening a professional detective agency! There are sceptics who accuse me of ‘cold reading’, a technique whereby one person attempts to determine details about another by analysing their body language and appearance. In my opinion, that type of skill is best left to the performing stage mentalists who try to mimic spiritual communication in an attempt to debunk it, and promote further scepticism. How can ‘cold reading’ be a useful skill to me when an increasing proportion of my work is executed by online-audio or telephone? Anybody with a modicum of sense would wonder if I practiced any type of trickery, how could have I successfully worked openly in the public eye as a professional therapist for over thirty years, especially these days with the freedom of expression on the internet? Why would I even want to devote my whole life to any type of deceit, exposing my whole family to disgrace? Actually, as an articulate and resourceful woman, I could have quite easily chosen another profession and excelled elsewhere if I wasn’t so accomplished and totally committed to what I do. When I have encountered scepticism, it has been from people who don’t know me, not from my client base. Recognising how some people can harshly judge me, you can understand why I sometimes have to be very careful whom I tell about my extraordinary experiences to avoid being thought incredulous, a little batty, or at worst, an outright deceiver. In the 21st century, when diversity and idiosyncrasy is actively embraced, it is absurd that my unconventional natural ability is so vilified and censored. As might be expected, there are people who say to me, “Oh! I don’t believe in it.” This attitude I find most challenging, as I usually respond by asking, “What is the – it – you don’t believe in? Are you saying you don’t believe in an afterlife or are you saying you accept there is an afterlife, but you don’t believe anyone can communicate with it?” These are two totally different stances and can open a chink for learning in the most closed minds. Actually, I am not offended by genuine scepticism, as I believe healthy doubt can easily be dissolved when the truth is presented. When confronting scepticism from the media, I find it quite unsettling as my accomplishments are never taken at face value and journalists are predictably confrontational at a very base level. Society would have so much to learn and benefit if only the media could move forward from this divisive stance. Fortunately, the freedom of the internet does mean there is considerably more information at peoples disposal, but even in this day and age, the mainstream media still has a very strong influence over public opinion and its perception of the truth. However, over the years I have witnessed that no matter how much proof you give of a spiritual afterlife and the ability to communicate with it, people sometimes want something specific to be said, and nothing else will suffice. In such circumstances, the recipient may well become disappointed. I learned long ago it’s not my role to wantonly convert every sceptic to believe in the afterlife in the exact way they want it to be revealed. If your friends and family need to offer proof in a specific way for your clarity, it is their responsibility to provide the information in an acceptable format, not mine. Also, I don’t pick up the gauntlet every time I am challenged, that would be a little too self-indulgent. On the contrary, I will only take the challenge when there is someone in genuine need and when requested by my guides in service to the spirit world. Sceptic or otherwise, the truth is the truth, and my reality is truth to me. I cannot change who I am and how I was born just for public convenience or palatability. Would you?! 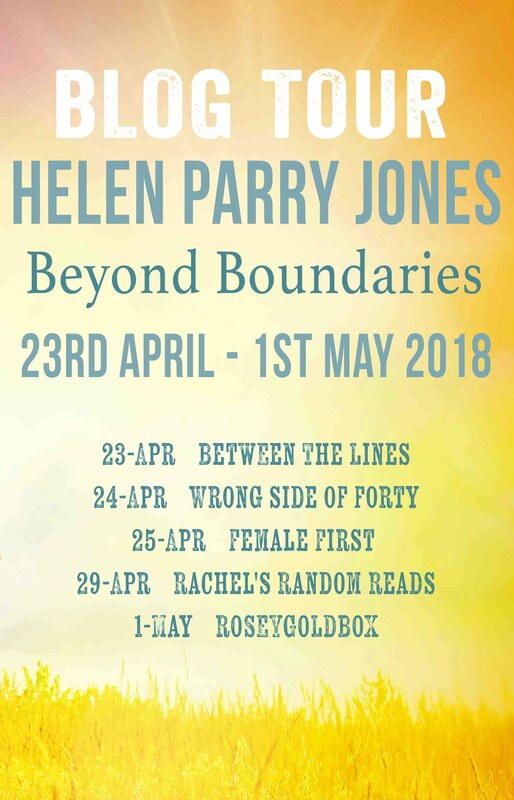 Follow along with the rest of the blog tour for Beyond Boundaries. About the author: Living in Wales with her husband, Helen Parry Jones has been a professional spiritual healer and empathic medium for over thirty years. 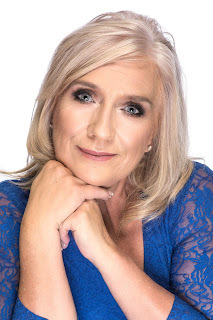 She has filled theatres and auditoriums across the country and has regularly appeared in national print and broadcast media including; The Daily Mail, Psychic News, RTÉ, BBC Radio 4 and Woman’s Way. 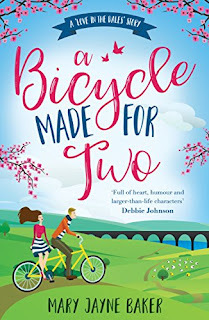 Previous titles include, Hands of An Angel (published 2011 by Arrow) which was named The Daily Express’ book of the week. As this story progressed I grew to love it more and more. Its not that I disliked the opening chapters more wondering why on earth I was reading about such a kind hearted admittedly but shallow character. 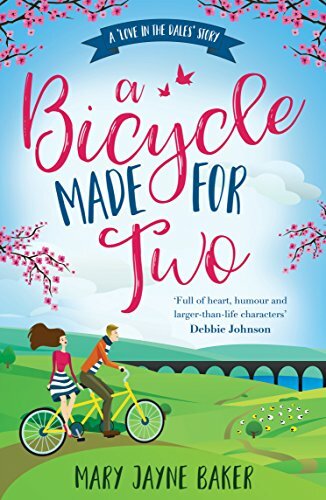 In fact Charlotte at the start of the book reminded me in a way of Cher from Clueless (which I may have rewatched a day or two before I started this so was on my mind!). It seemed like everything had to be about Charlotte, even her friends seemed to call her out on her meddling needs. But when Charlotte gets the shock of her life, it is how she reacts to that and how her friends going through similar situations react that really enticed me in properly. I loved seeing Charlotte grow in the way she deals with life into a far more rounded character, and the assorted meddling she was doing was all well meaning, and with some great after effects. 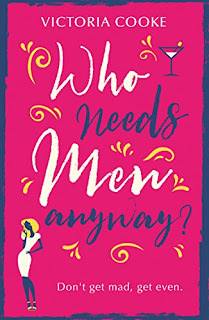 What one thing is for sure about the strong women in this book is that they are all convinced they would be better off without men in their lives. This is a really entertaining story that once I worked out where it was going, I realised I was loving more and more with each page. 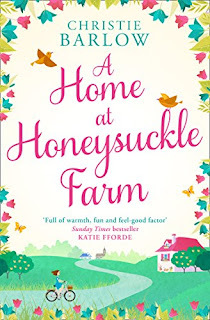 Although The Holiday Cruise will remain my favourite of Victoria Cooke's books, this one is still a fabulous story and for non cruise obsessed people will probably be a firm favourite of the authors work. 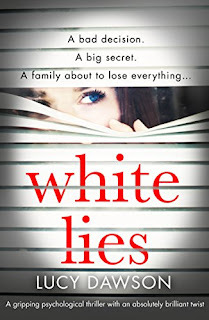 Once again Lucy Dawson has stolen around 3 and a half hours of my life, but replaced them with a compulsively addictive book that I couldn't tear myself away from, as I was utterly hooked on White Lies from the first chapter. 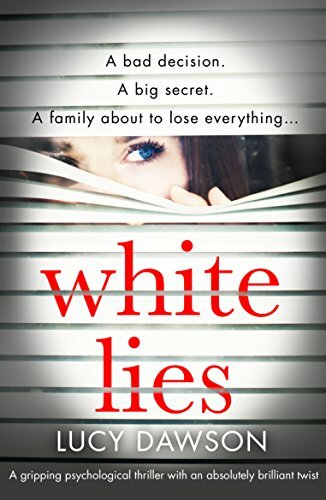 I was completely drawn into Alex's version of events, up until we started getting other view points, at which point I twigged that I had absolutely no clue who was telling the truth and who as the title suggested was telling white lies. What I did know was I completely felt for Alex who at a base level makes one mistake that has a lasting impact, for her marriage, her family and other people too. One moment of madness when completely and utterly drunk, while on a girls weekend away, leads to all manner of consequences. There were times where I was doubting just about everyone but at the same time I just had to keep turning the pages to see what was going to happen next. I was curious about everything the book even touches on relatively recently real world events that have been in the news. 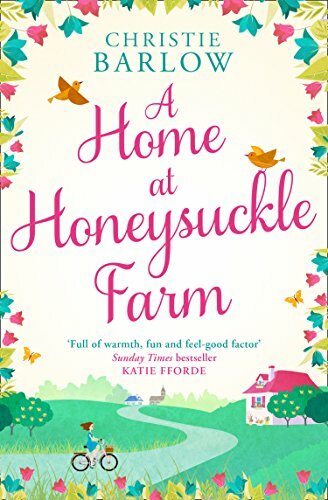 This is a book that makes you think about the patient / doctor relationship, and about how easy it could be for someone in a position of trust to make a mistake that could be perceived as abuse even if the don't realise it at the time. 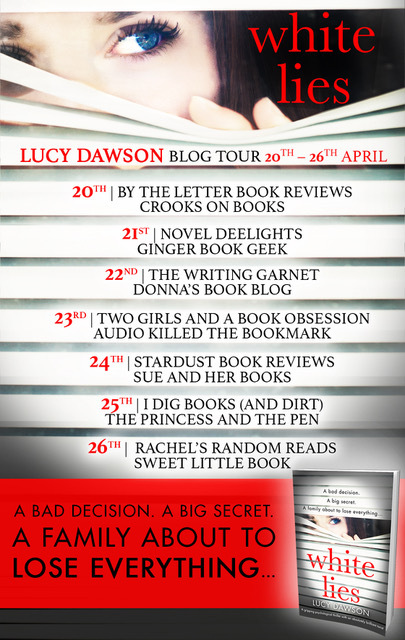 Unpredictable and utterly compelling, White Lies is another absolutely fantastically crafted book from Lucy Dawson. All I can say is clear a day or a few hours depending on your typical reading speed, make sure you are comfortable, sit back and relax and let this story of human interest take over for the duration. 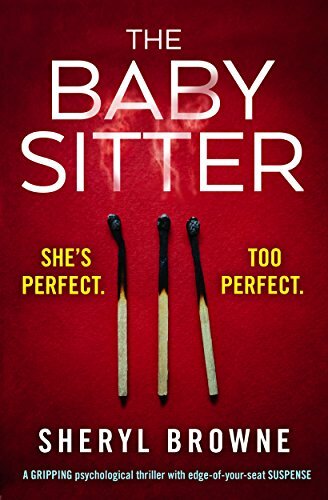 From the start you know not to trust the Babysitter, the clue is in the title and the blurb, in fact from the prologue I was 99% positive I had worked out her identity and I would expect most people reading this to get that far in their predictions. And yet despite being sure you know what the reveal will be, due to the various perspective the book is written from, and the specifics of the story, I found myself drawn into this rather twisted tale, which contained more horrors than I initially anticipating. 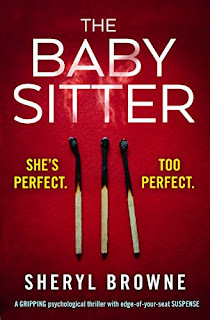 We get chapters from Melissa and Mark's perspectives and its amazing how they seemed to be seeing various incidents differently and then there were chapters from the Babysitters point of view, in theory meaning the reader was one step ahead of Mark and his family, but in reality, there are still shocks to be had. 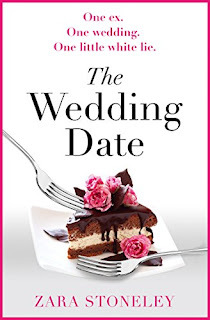 There was just something that seemed to keep the book on my mind constantly until I gave in and sat down to finish it. It is a story about knowing who you can really trust, whether people really are what they seem, and of some really sloppy police work with one of the most dislikeable colleagues of Mark's that I've met. 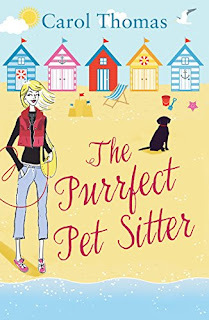 Thank you to everyone that voted for this book this week including Snoops who deserves an honorable mention, as you don't often get dogs voting for their favourite books! This was definitely a book I needed to read so I thank you all for that and look forward to seeing what wins this week.